We are a small, family-owned, diversified vegetable farm and CSA in the Connecticut River Valley of Southern Vermont. We are committed to growing food that creates, nurtures and sustains community. 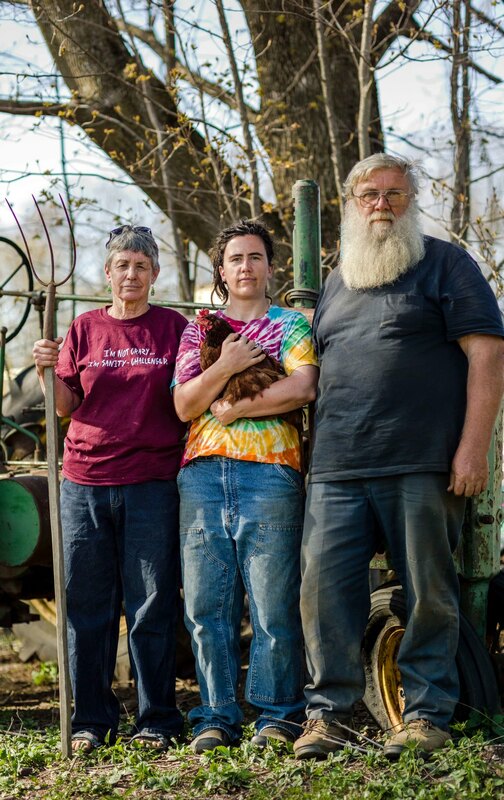 Lost Barn Farm is run by Marisa Miller, with the assistance (and occasional consternation) of her parents, Reed and Kathy, whose land she farms. The land belonged to Reed's father, who used it as part of his dairy farm. Reed and Kathy purchased it in the 1970's and raised their family on it. Approximately 10 acres are tillable, though many of these stay in perennials and cover crop each year. Reed grew up on dairy farms, and he and Kathy always kept a large garden on the land to provide fresh and preserved foods for their family. Retired now, Reed and Kathy are able to spend their time on the farm. As the middle child of the five Miller kids, Marisa grew up around the growing and preserving of food. After graduating from college in 2003, she moved back to VT and began working on organic farms. She spent 3 years on farms in VT, 5 years on a farm in Tacoma, WA and two winters WWOOF-ing in Italy and France. Keep up with life at Lost Barn Farm with Marisa's seasonal updates. And join her guest bloggers/CSA subscribers for their weekly "What We Did with Our Share" post. Curious about what to do with all that rhubarb? Never heard of kohlrabi? In addition to our extensive library of CSA recipes, our blog will provide plenty of inspiration to make the most of your share, and you'll find great links for canning and preserving as well. *Access to local produce and the farmers who grow it. *Your food dollars stay in the community and help it thrive. *You are introduced to new foods, and new ways of preparing them. *Our CSA members get a 10% discount for shopping with us at farmers' markets, as well as access to pick-your-own opportunities and bulk pricing. *A chance to socialize with other members as well as your farmers at our potlucks and work parties; to learn more about each other and the way your food is grown. Click here to download our 2019 CSA form.